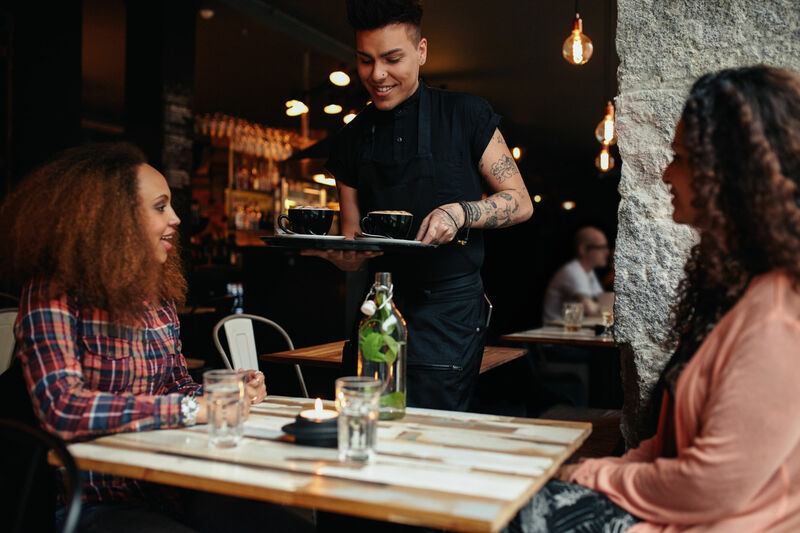 As a business owner, it is important to keep in mind that how your workers present themselves can play a big part in whether or not your restaurant can survive. It doesn’t matter if you run an upscale restaurant or a small-town burger joint. How your employees' dress says a lot about the company as a whole. Below, we’ve listed five common dress code trends that employers can consider when thinking of enforcing a dress code. When we think of dress codes, most often, the first thing to come to mind is what the employee is wearing. Clothing says a lot about a person and their personality. In a restaurant setting, having a given style can speak worlds of the establishment. When implementing a dress code for a restaurant, requiring that employees wear clean clothing is a common trend. It should be one that eliminates street clothing such as jeans and graphic t-shirts with any logos or other graphics on them. An example of this trend requires that restaurant employees wear a black or white dress shirt with black dress slacks, or a black skirt, or dress. Black can be seen as a simple, clean look that suits most occasions, making it a great option for a dress code. A place that prepares and serves food to others should require that employees shower or bath regularly and that hands be washed before and during work to prevent the spread of any germs. Hair restraints, often called hair nets, must be worn by those working directly with food in order to prevent the spread of any germs or pathogens. In many cases, those who serve the food may only be required to have their hair styled up or away from the face in order to lessen the chance of it coming into contact with customer’s food. Jewelry in a restaurant setting should be limited to simple bands and studs. Anything that can be deemed as “dangling,” such as bracelets, necklaces, and earrings, or anything with stones or other embellishments should be removed so that there is no risk of anything falling off or snagging onto anything. In a professional setting, including a restaurant, should be kept professional. When it comes to fingernails, employees should be trimmed, files and maintained, so there are no rough edges. Polished and artificial nails should not be worn as they present possible health hazards. The above-mentioned dress code trends are only small examples of dress codes that could be used in a restaurant setting. While having a code in mind, it is essential to keep a few things in mind as the head of the company/team. For example, clean clothing could mean no jeans, no ripped clothing, and nothing that smells offending. By defining clean clothing, it could mean a solid black button dress shirt. Employees know what is expected of them, especially when a uniform isn’t provided for them. Don’t leave anything up to chance with a simple verbal explanation. You’ll want to discuss all aspects of the employee dress code, which could also include attitude guidelines, during new hire orientation. At the same time, an employee should be a given a copy of policies and disciplinary procedures in the form of an employee handbook. Enforcing the policy is vital, and it’s important to make sure all employees are treated as equal. Every work setting has their little cliques, but as the head of the team, you can not have favorites. What is good for one employee is good for the next, no matter what. Stand firm and discuss the policies when an employee needs a refresher, and if they become repeat offenders, document and take whatever the next course of action may be.